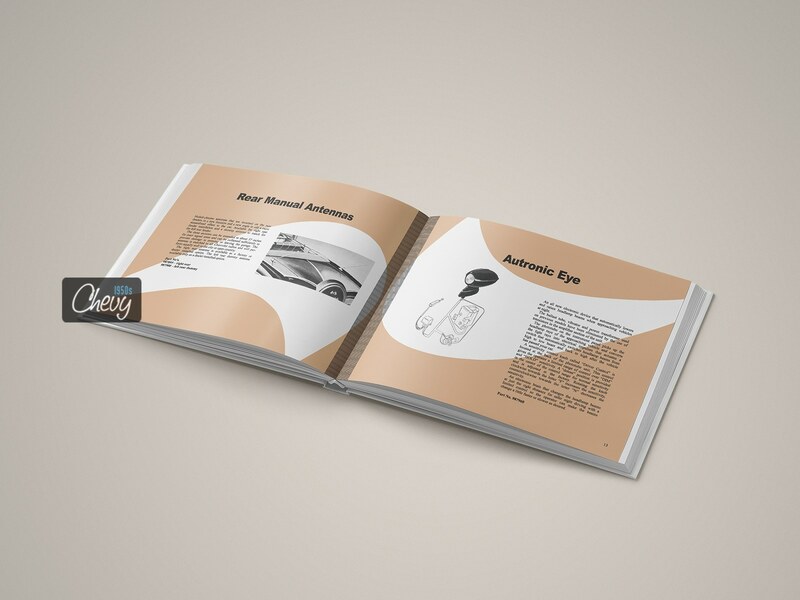 Each accessory is shown with a picture and is described with a short text. 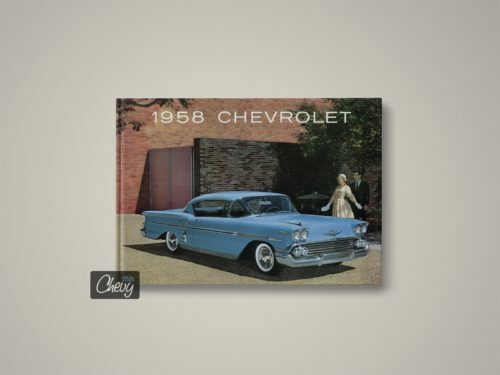 There are also part numbers, in case you want to upgrade your 59 Chevy with factory correct optional equipment. 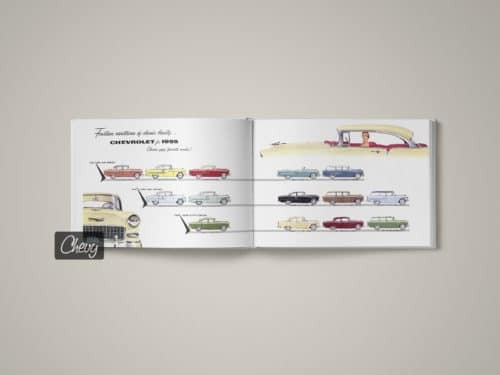 This book was not given to new car buyers or prospects. It was provided exclusively to dealers and salesmen. 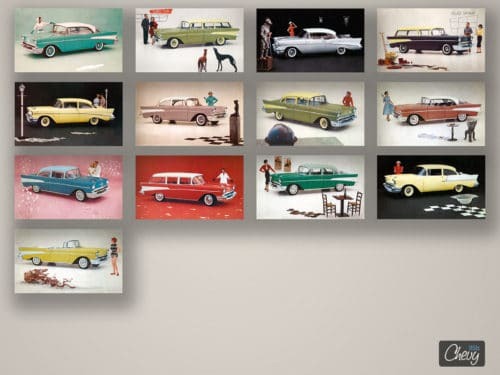 Most of them dumped the original after the model year change. 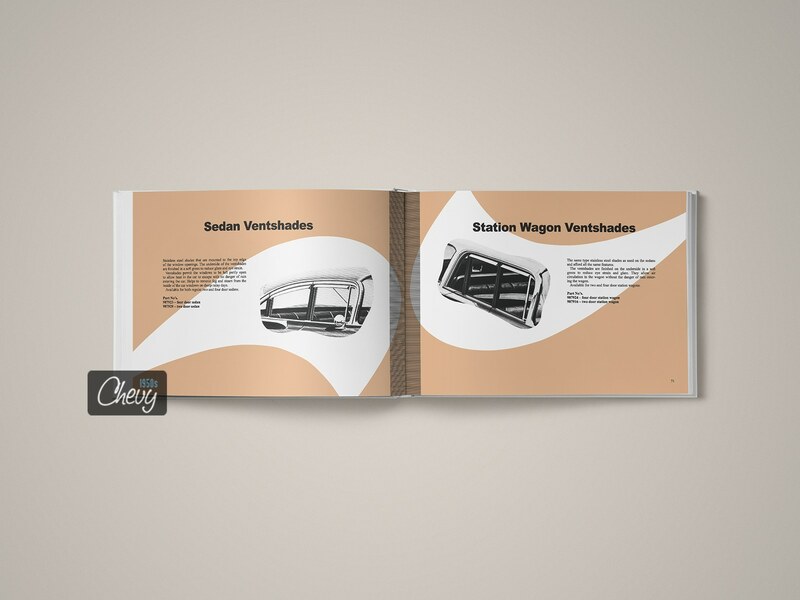 That makes this book ultra rare and expensive! 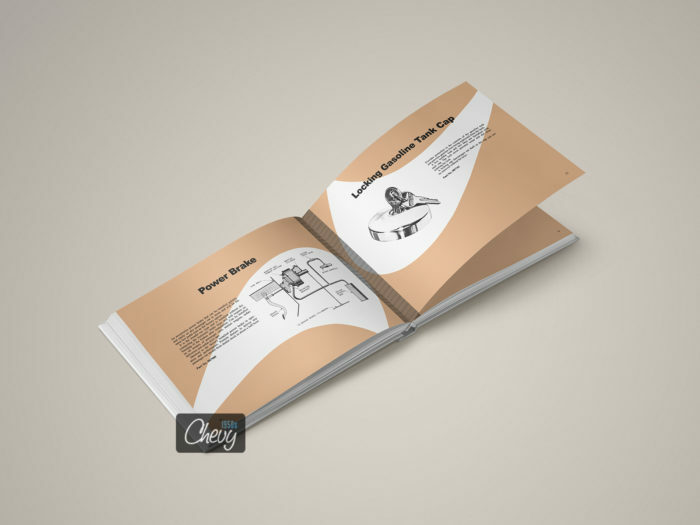 But we’ve saved one and created reprints so that you can enjoy the content for much less money! 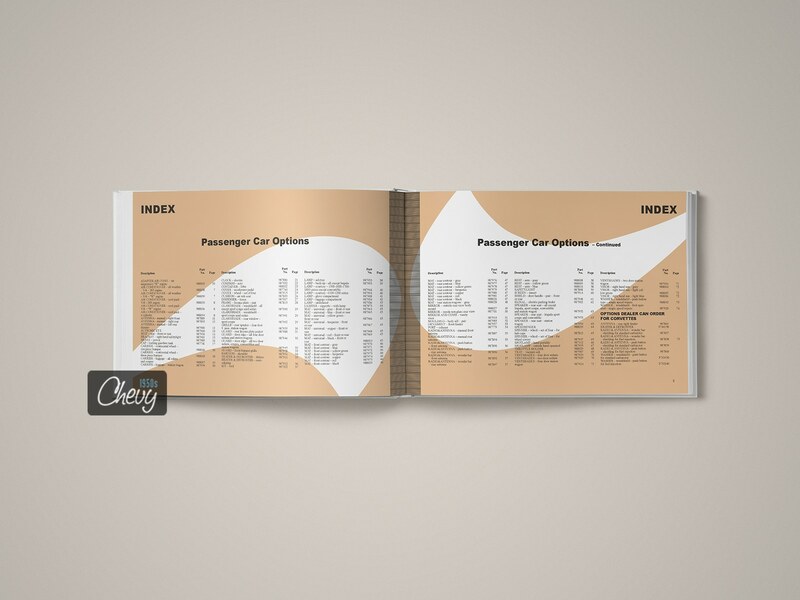 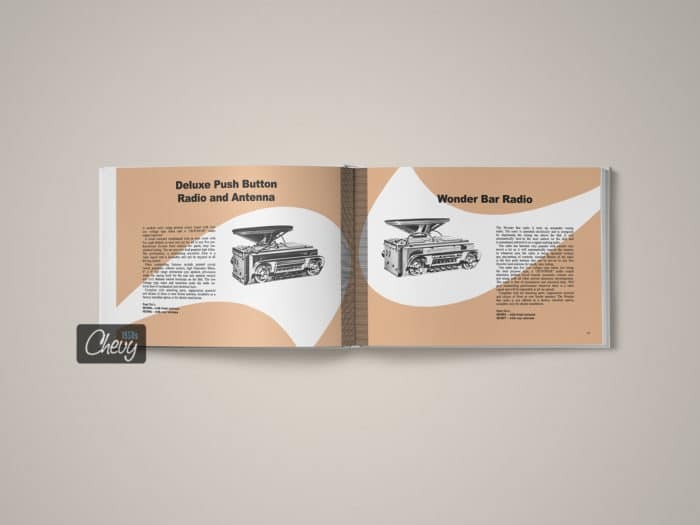 The 1959 Chevrolet Autocessories Book reprint was made with love and passion for 59 Chevrolets, keeping the original data, but transferred to modern printing standards such as colors and formats. 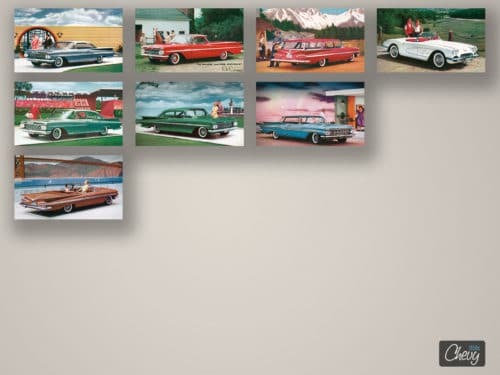 Size and colors are slightly different. 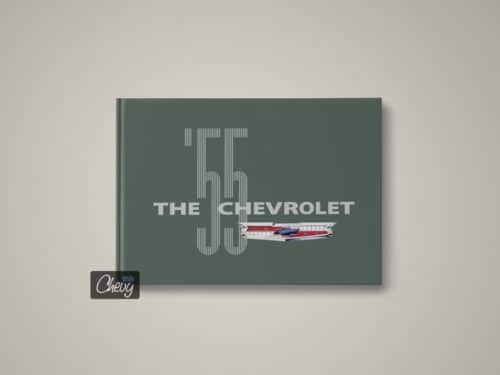 Please keep in mind that even the best reprint is based on material being over 50 years old and therefore has imperfections. What you’ll receive: A brand new, high quality reprint. 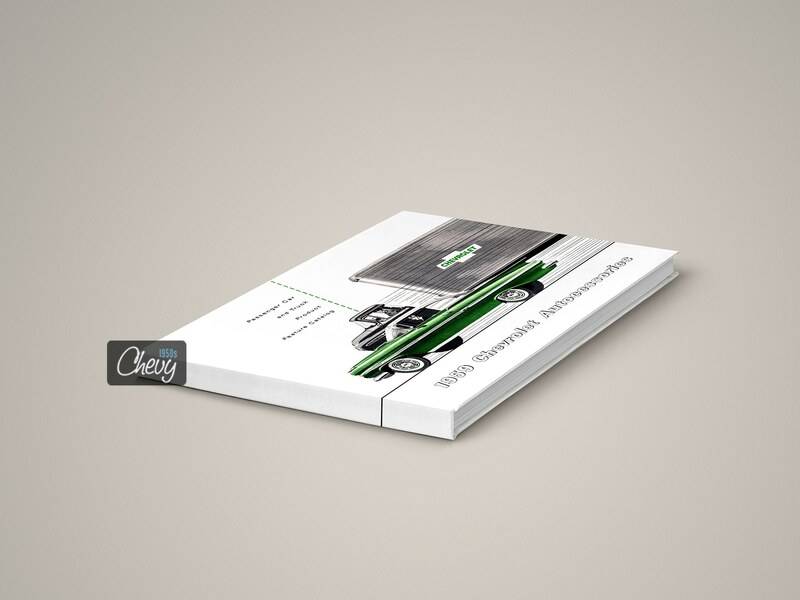 This is a hardcover book with 164 pages (incl. cover). 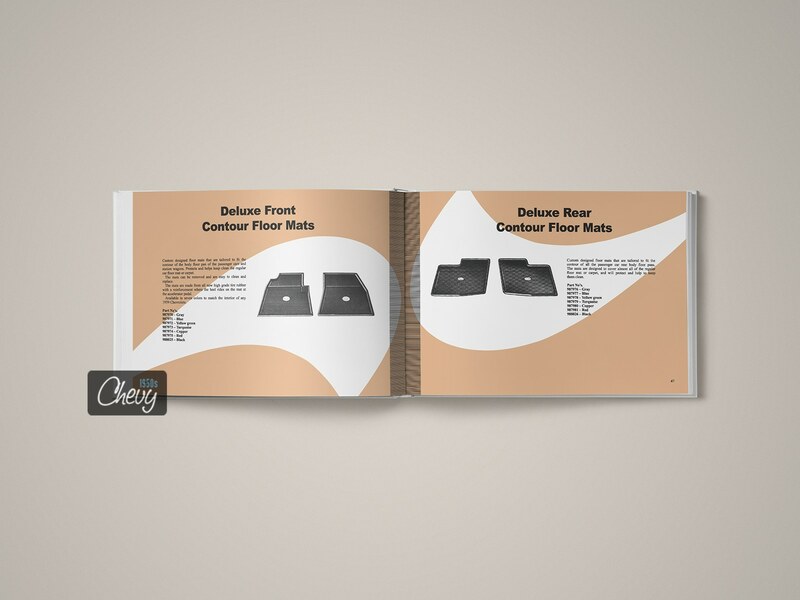 Size: 11,69 inches (29.7 cm) wide and 8.27 inches (21 cm) high. 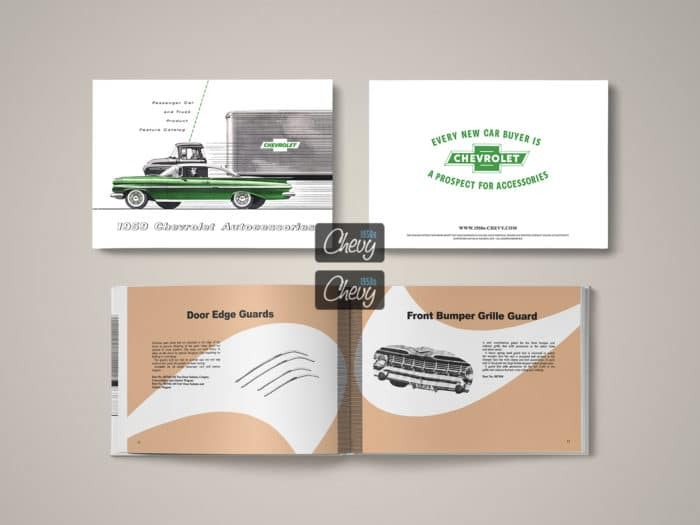 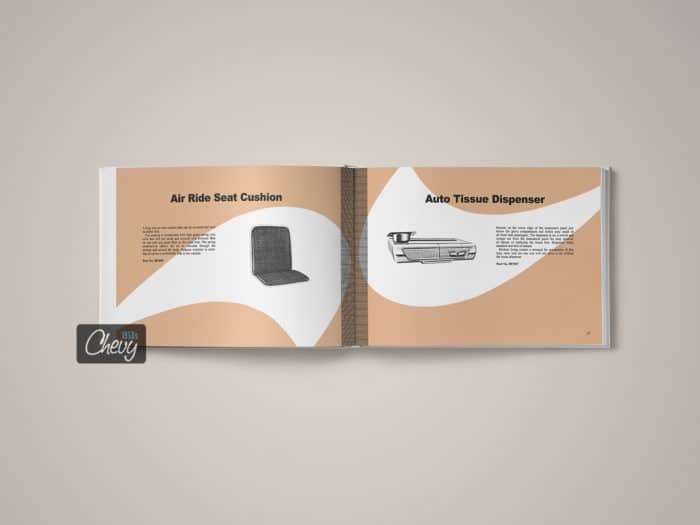 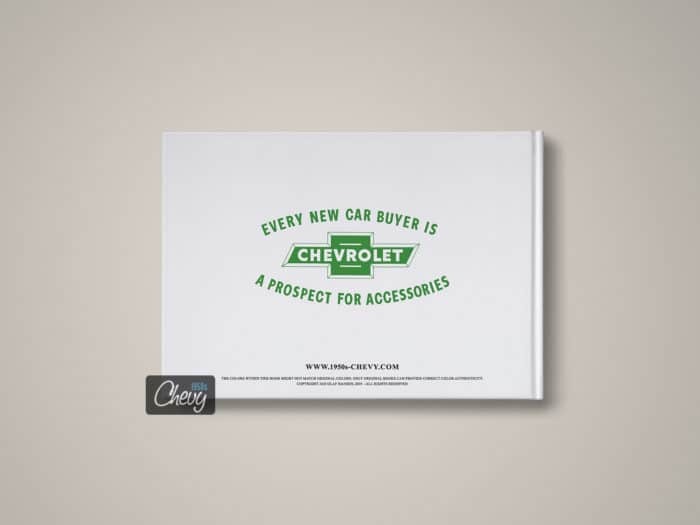 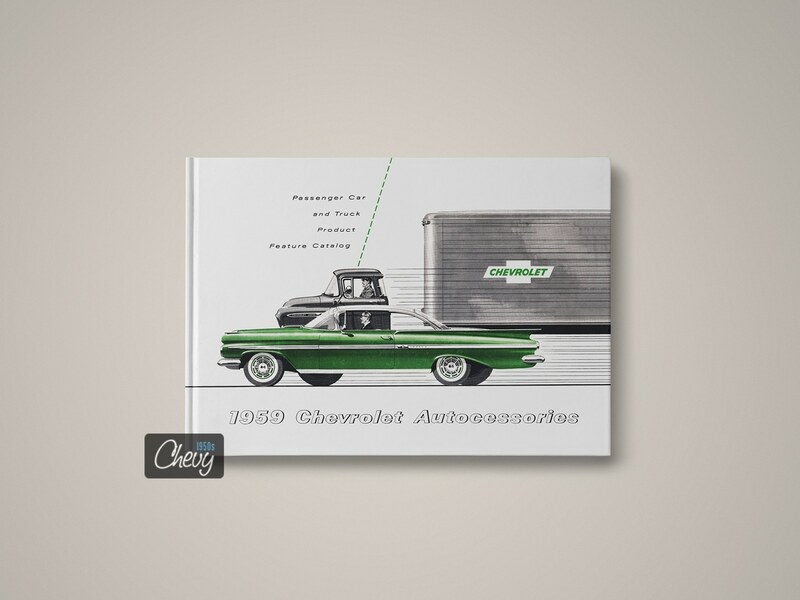 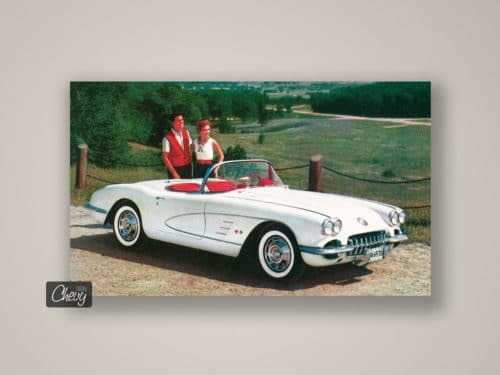 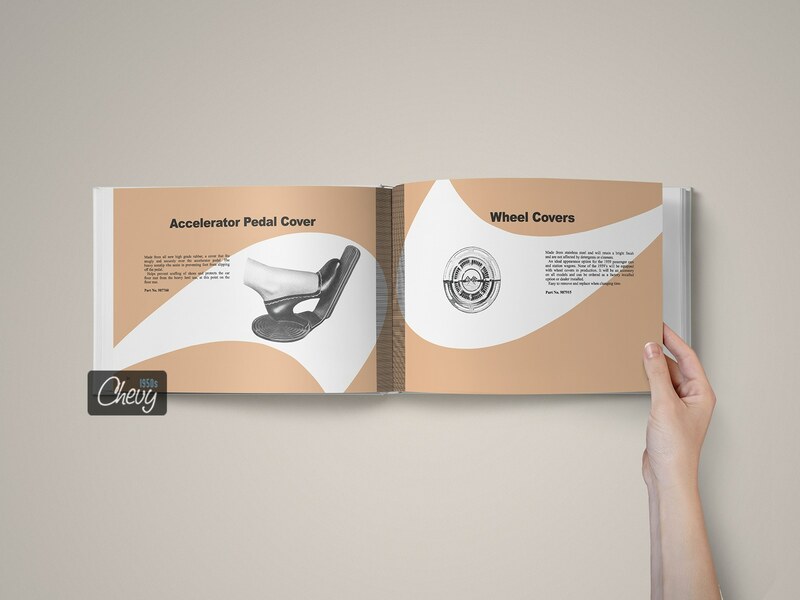 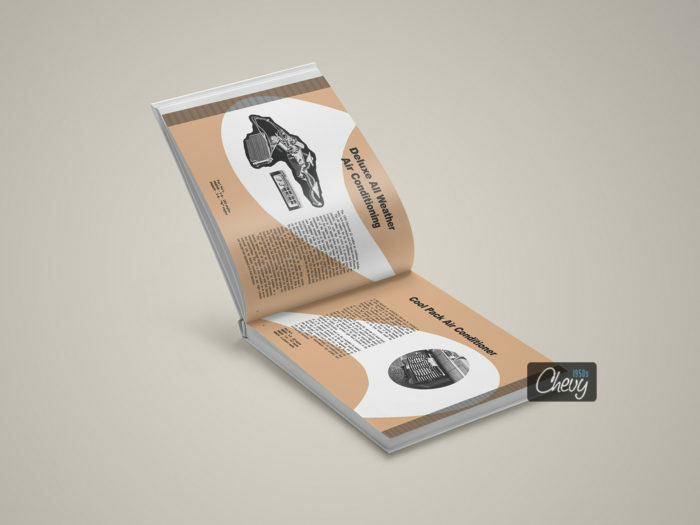 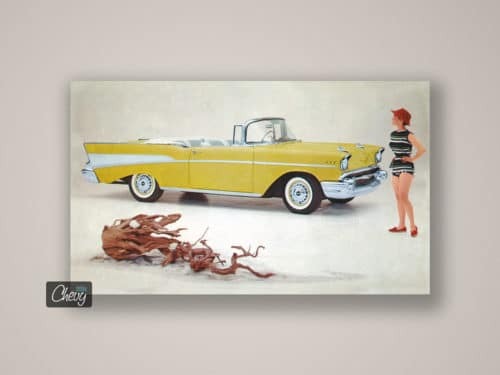 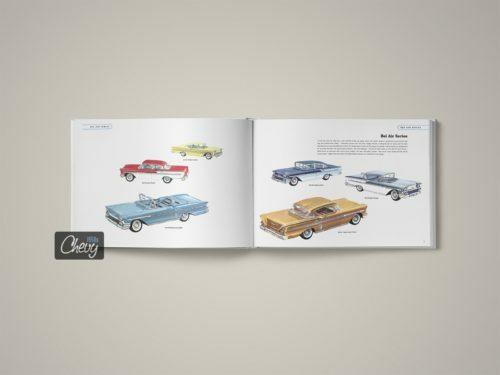 Order your 1959 Chevrolet Autocessories Book today!